This made me think, am really a great multitasker? When I started to look at my day and pull apart how I work and my multitasking abilities, I realized I am terrible at this. "Switching from task to task,” Miller says, “you think you’re actually paying attention to everything around you at the same time. But you’re actually not." So, I decided to put this to a test. One day, while working on two different projects at once, I realized it was taking me longer than if I just set aside time for each project and focused on one at a time. When trying to focus on two different projects at once, I was having to re-do work, losing my thought process, and sometimes thinking I was done with one project but realizing I forgot a critical element. This helped me re-evaluate my working habits. Here are five tips I learned to become more efficient, and forget about multitasking altogether. Take five minutes in the morning to look at what you need to accomplish for the day and prioritize your tasks. This allows you to know exactly what you need to accomplish and how much time you have for smaller or unexpected tasks. It also lets you manage your time. When a colleague needs help, you can now confidently tell them, “I cannot complete that by the end of the day, but I can have it to you tomorrow by noon.” It helps you establish deadlines and set expectations with your team. If you have five projects you need to work on, block off time for each project and focus on doing one thing at a time. Use the list you created to prioritize what needs to be done first. Do not move on from one project to the next until your first project is complete. Technology is a huge asset; it allows us to work any and everywhere. When focusing on a project, close your email. (I am very guilty of not doing this, I see the inbox number go up and I immediately feel the need to check it.) Turn off your phone (or put it on silent), put away the tablets, turn off notifications, close your door if needed, and put away anything that can distract you. Email is one of my biggest struggles when trying to focus. I like to keep my inbox low and get back to people quickly. Blocking out time to work on emails has been a huge help to me. I deal with my inbox first thing when I start my work day, after lunch and right before the end of the day. Having time dedicated only to email helps me not feel like I need to drop everything and answer right away. This is hard. We all have tasks we need to complete and it feels like there’s never enough time. But be present with what you are working on and be present when working with others. This means not sitting in a meeting check emails or doing other tasks. Have you ever been on a conference call and were asked to repeat a question you asked? You know the other person’s attention was elsewhere and they were not focusing on the call. In the long run, taking the time to slow down can help you speed up your deadlines and allow you to put out the best product or service. If you still think you are the exception and can multitask like a pro, Miller makes a great point: “think about writing an e-mail and talking on the phone at the same time. Those things are nearly impossible to do at the same time; you cannot focus on one while doing the other. That’s because of what’s called interference between the two tasks." Give it a try. I think you will be surprised at how quickly you find that your multitasking skills are not what you thought they were. 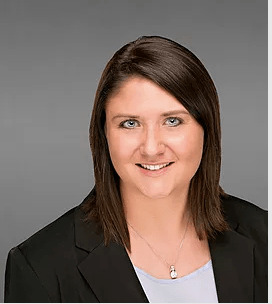 As a project manager for Boomer Consulting, Inc., Jackie plans, executes and manages the people, resources and scope of many of the firm’s projects, programs and events. Jackie supports multiple phases by providing assistance and constant communication with clients and sponsors, and by serving as an event liaison for programs and consulting engagements. Her primary roles include overseeing Lean Six Sigma Consulting and The Boomer Technology Circles™ Partnering Sponsor Program. Jackie thrives at the opportunities to build new relationships.